Afro-american man singing. 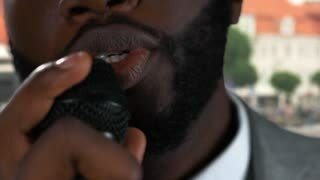 Guy holding microphone closeup. Young pretty blonde singing with microphone. 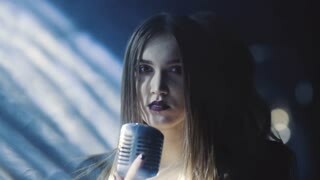 Elegant girl holding microphone and singing on chroma key background. Beautiful caucasian singer. 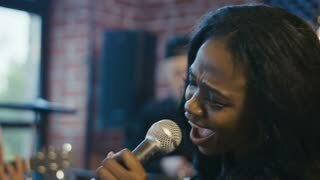 Young woman is singing with eyes closed. Pretty blonde is singing on checkered window background. 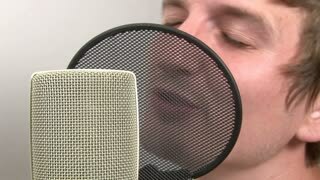 A close-up of senior man with headphones sitting on armchair at home at Christmas time, singing with eyes closed. Slow motion.